The Lever Arch Filing Module is ideal for stand alone use on a desktop, shelves or even the floor. 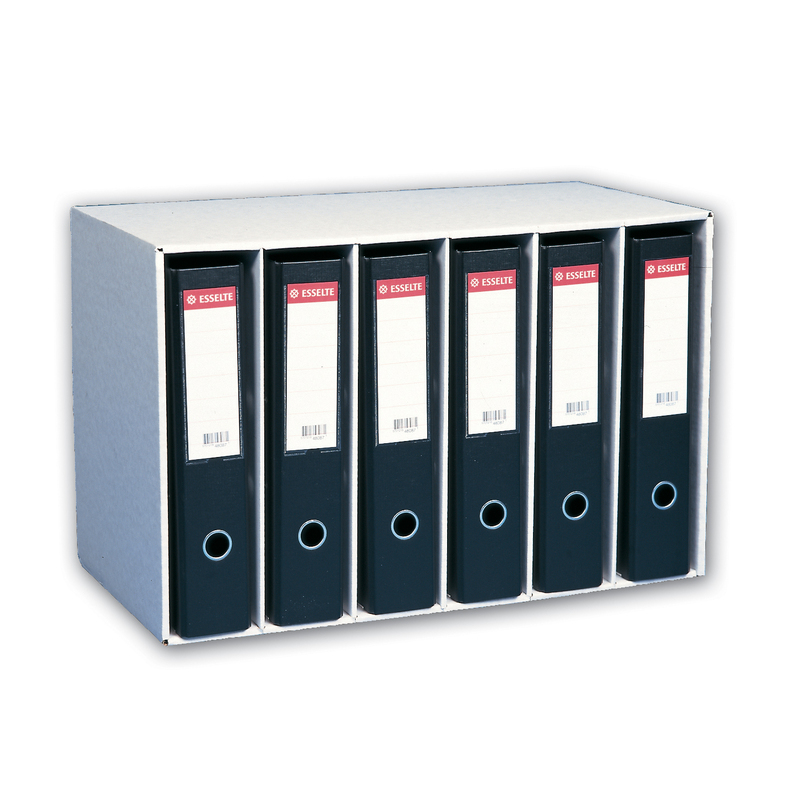 This module stores six A4/Foolscap lever arch files and can be stacked up to four tiers high. The easy to assemble design in tough corrugated oyster fibre-board protects files and permits quick and easy retrieval. With no need for shelves or cabinets. H385 x W585 x D295mm.